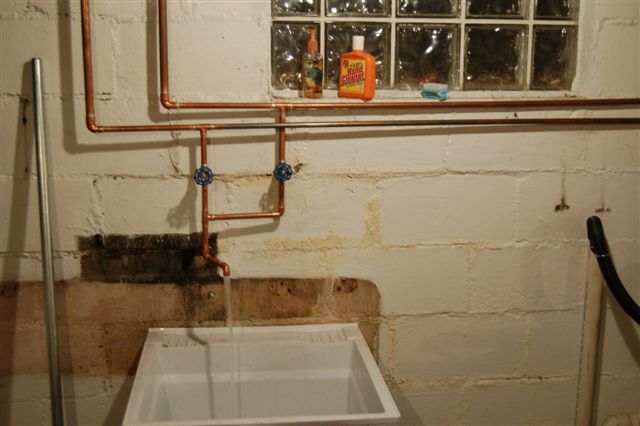 David wanted my useless opinon on how to set up the plumbing for his new utility sink, so he emailed me a picture of the situation. I didn’t have any advice (or at least he didn’t listen to any of it), but I did ask to have an after picture for comparison, since it was obviously important enough to capture in the first place! You can see where the old cast iron sink had been by the dark outline on the wall. 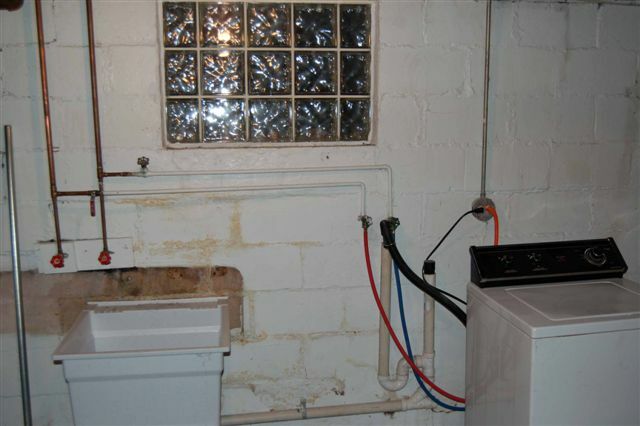 Anyone have an opinion on the plumbing? This entry was posted in General by Amy. Bookmark the permalink.